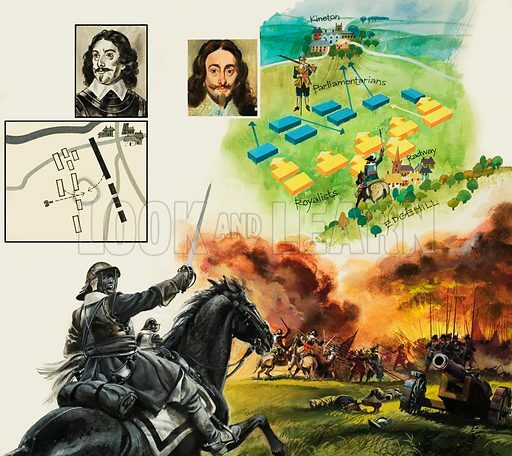 Battle of Edgehill. By failing to press home his advantage after defeating the Parliamentarians at Edgehill, King Charles condemned England to a long and brutal Civil War. Original artwork for illustration on pp30-31 of Look and Learn issue no 1045 (20 March 1982). Lent for scanning by The Gallery of Illustration. Available worldwide for immediate download up to 4,238 x 3,776 pixels.